T-Mobile Officially Announces Its Own Galaxy Note To Be Made Available "In The Coming Weeks"
While Verizon tries to figure out how to get people to want the Optimus Vu, T-Mobile has just announced that everyone's favorite phablet – the Samsung Galaxy Note – will be available on the magenta network "in the coming weeks." This isn't exactly a concrete timeframe, nor does it align with previous rumors of a July 11th release. It will also be interesting to see whether Sammy does indeed announce a Galaxy Note 2 in Berlin in accordance with recent rumblings. That being said, a T-Mo connected Galaxy Note has been anticipated by many users for a while now, and T-Mobile's version of the device appears to deliver all of the things current Note users have come to love, from the huge 5.3" Super AMOLED display to the famous S-Pen. The device also comes with T-Mo's "4G Pro App Pack" which includes Dropbox, Evernote, Square, TripIt, CamScanner and LinkedIn. While we have no information on pricing or exactly when T-Mobile customers can get their hands on the Note, it's great to hear some official news. As always, we'll keep you updated pending more details. Keep scrolling for T-Mo's full press release. 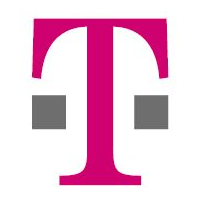 BELLEVUE, Wash., — July 17, 2012 — T-Mobile USA, Inc., the No. 1 mobile operator brand in Samsung Galaxy S™ sales, and Samsung Telecommunications America (Samsung Mobile), the No. 1 mobile phone provider in the U.S. and the No. 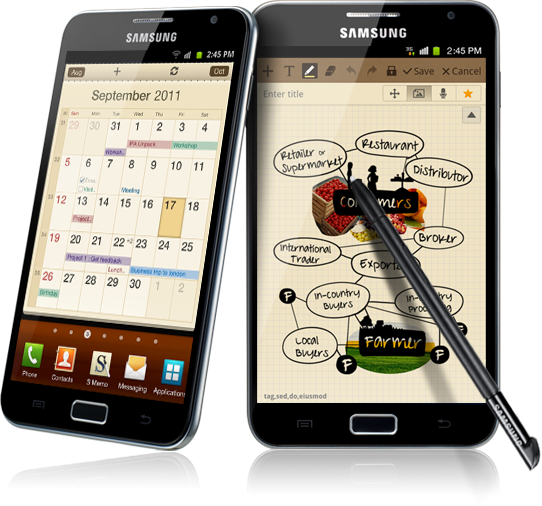 1 smartphone provider worldwide1, today announced the upcoming availability of the Samsung Galaxy Note™. One of T-Mobile’s fastest devices leveraging its 4G (HSPA+ 42) network and running on Android™ 4.0 Ice Cream Sandwich and Samsung’s Premium Suite, the Galaxy Note provides an innovative, all-in-one experience that is perfect for work, play and everything in between. Consumers are demanding larger smartphone screen sizes. In fact, a recent T-Mobile survey2 showed 77 percent of consumers prefer a device with a 4.5-inch or larger display rather than a smaller screen. The Galaxy Note speaks directly to that demand with a 5.3-inch HD Super AMOLED™ touch screen — the largest screen on a T-Mobile® smartphone. The device is elegantly designed to handle both business and home tasks with ease. The Galaxy Note with Premium Suite provides a range of productivity-enhancing features, such as the S Pen™, S Note, S Memo™ and Polaris Office. Now T-Mobile customers can write notes, to-do lists and annotate documents; share ideas and edited content; and create documents, presentations and spreadsheets to maximize efficiency while on the go. S Note helps to professionalize communications by providing templates for seven commonly used documents such as an idea note, travel notes, diary entry, meeting notes and recipes. S Note also allows you to import and annotate a PDF file and convert dictated or handwritten memos to text with the Continual Voice Input and Handwriting-to-Text features. 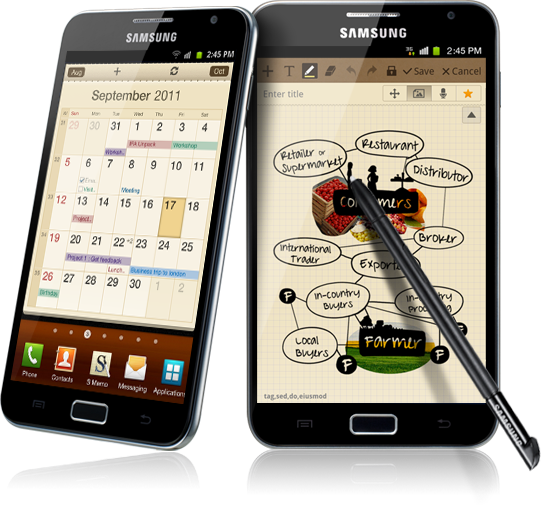 With S Memo, Galaxy Note users have one-touch access to creating a typewritten, handwritten or voice dictated memo; researching information during creation; and adding an image. The Galaxy Note also has the SAFE (Samsung Approved for Enterprise™) designation, which means it has a full suite of enterprise-ready features and capabilities, including comprehensive IT policy support for top-tier mobile device management (MDM) providers, on-device AES256-bit encryption, enhanced support for Microsoft Exchange, as well as integrated support for a range of virtual private network (VPN) solutions. The Galaxy Note also provides Wi-Fi Calling capabilities and, with a qualifying rate plan, can act as a Smartphone Mobile HotSpot for up to five devices. Featuring a snappy Qualcomm® Snapdragon™ S3 Processor with 1.5 Ghz Dual-Core CPUs, the Galaxy Note provides customers with incredible 4G experiences, making it the perfect all-in-one device to maximize efficiency and productivity, in addition to fun. The Galaxy Note offers a variety of entertainment experiences, such as T-Mobile TV in mobile HD3 for watching live TV programming, Samsung Media Hub for renting and buying the latest movies and TV shows, and Google Play Music for streaming and purchasing music. The Galaxy Note also features an 8-megapixel rear camera and a 2-megapixel front-facing camera, to capture pictures and HD videos to share with friends, family and social networks. The Samsung Galaxy Note is expected to be available at select T-Mobile retail stores and online via www.T-Mobile.com in the coming weeks.